I just woke up, and I’m drafting a memo for a Congressional staffer, explaining the ways that a new censorship bill will be dangerous for free speech and innovation. One of my colleagues is in Washington, D.C., and is scheduled to meet with that staffer in a few hours, so I have to get an early start. Why am I telling you this? Because EFF is looking for a new addition to our activism team. This job is a big one: you’ll be joining EFF’s efforts to end warrantless spying by the NSA and other federal government agencies, as well as to fight for restrictions on the use of surveillance technologies by local law enforcement agencies. And it’s the perfect time for you to start: Section 215—the law that the NSA relied on for decades to collect Americans’ phone call records—is set to expire at the end of 2019. Between now and then, we expect a major legislative fight over its reauthorization. We need someone activating the public to demand that lawmakers respect their right to private communications. Once I get to the office, I catch up on the news I’ve missed. My coworkers have been talking about a new proposal that would make it harder for patent trolls to file nuisance lawsuits against practicing companies. It’s a good idea, but does it go far enough? In the afternoon, I start working on some notes for a presentation I’ll be giving next week about the history of Internet censorship. And then it’s back to that censorship bill I started the day on. We’ve gotten word that a new version will be introduced tomorrow, and it’s even worse. It’s time to start writing. First thing tomorrow morning, we’ll be sending an email out to half a million people urging them to call their members of Congress to stop the bill. I’ve spoken to a roomful of patent experts at Harvard Law School, a bar full of hackers in South Dakota, and everything in between. I’ve testified before the California legislature and been interviewed for national TV and radio spots. This is the hardest job I’ve ever had. It’s also the best. Sometimes people give me a puzzled look when I tell them my job title. I’ve gotten questions like, “Activist? That’s… a job?” It sure is, and it’s part of the three-step system that makes EFF the powerhouse it is. 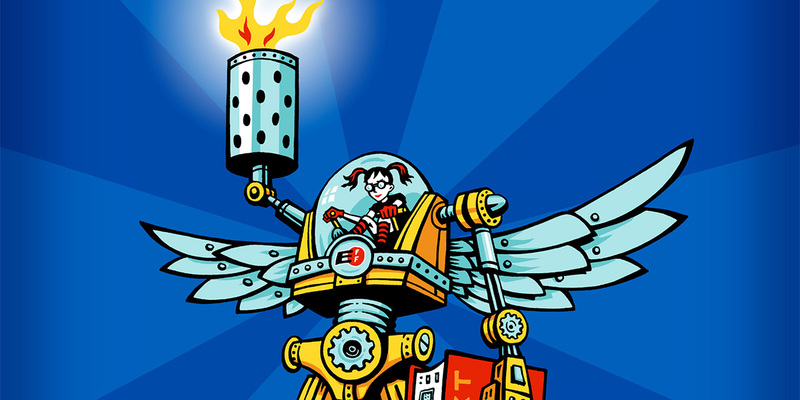 EFF’s legal team works to make sure that courts respect your civil liberties online. The tech projects team creates and advocates for technology that you can use to defend yourself. And the activism team empowers and inspires you to demand that policymakers and other people in positions of power defend your digital rights. Working on the EFF activism team requires top-notch writing and communications skills and the ability to research and get up to speed on an issue quickly. Many people on the activism team have backgrounds in journalism. Some of us have backgrounds in the humanities or grassroots organizing. What we all have in common is a passion for protecting civil liberties online. Does this sound like you? If so, read on. There are a few more things you should know about working on the EFF activism team. When you’re on the activism team, you wear a lot of hats. One day, you’re a policy analyst. The next, you’re a rabble-rouser. But the most important thing you are is a writer. We all spend much of our day researching and writing. We blog about the latest developments in technology or tech policy and how they’ll affect users’ rights. We send emails designed to get people to take action, whether it’s calling Congress or showing up in person to a rally. We often write collaboratively with others on staff, especially when we’re first figuring out the right talking points on an emerging issue. Some of my favorite moments have been when a group of us try to come up with the best name or slogan for a new campaign. It’s because we take your writing skills seriously that we want to see your writing when you apply. We want to see that you can unpack complicated ideas and make big arguments, in a way that will resonate with anyone. Not much of a writer? Check out our other listings. Tech Changes Every Day. So Do We. Everyone on the activism team has a few issues that we focus on, but that’s just a fraction of what we do. Expertise in issues of surveillance and privacy is advantageous, but the ability to research and learn quickly is essential: we go where the work is needed most. If our copyright team is especially busy one day, you might need to write a quick blog post about the latest ridiculous YouTube takedown. I started at EFF as a member of our patent reform team, but when we got word of a dangerous censorship bill, I had to shift gears to spend several months working around the clock to stop it. EFF is an amazing place to work. It’s the first place I’ve ever worked where, whatever I’m researching, I can knock on the door of one of the world’s foremost experts on that thing. Public key encryption? Check. ISP regulation policy? Check. Esperanto? Check. We rely on each other, and it shows in our work. When a blog post goes up on EFF.org, it’s often benefitted from the expertise and creativity of a dozen different people. Outside of work, we have board game nights, Star Trek nights, and West Wing nights. There are internal mailing lists for vegetarians, movie buffs, and even pizza fans. There are also a lot of us who have to leave right at 4:30 to get our kids, and that’s supported too. This is a place where we work hard to make work-life balance work for everyone. Maybe you’re reading this and thinking, “But I can’t move to the Bay Area! Aren’t apartments like a gazillion dollars there? !” Here’s the thing. Yes, the Bay Area is an expensive place to live. And that’s why EFF offers things like rental assistance and even a home-buying program, in addition to our competitive salaries and other benefits. If this still sounds like you, take a look at our job listing.